It's that time of year again where we look back on the colors that helped us define a year and look forward to the new colors that will help us paint a beautiful future. We had nearly 1,000 people create their own personal Color of the Year in 2011 and below we'll look at what trends emerged. Now that we've done this for two years it's interesting to see the change in colors and the words we use to describe our year. 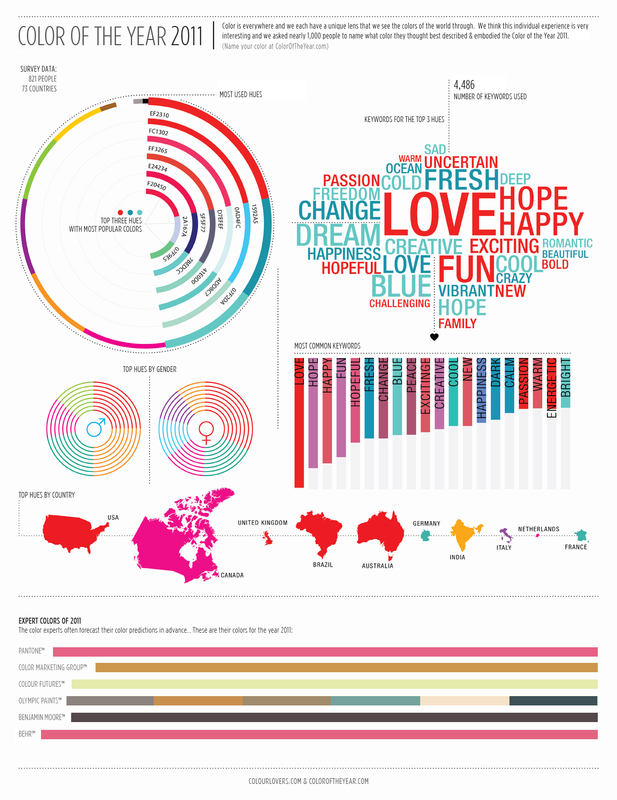 As can be expected, love was the most popular word used to describe your colors. And the top 4 words our community chose for 2011 "Love, Hope, Happy, Fun" were almost the same as last year's "Love, Happy, New Hope." Reds have been the most popular color both years, but 2011's colors are more cooler with more blue, teal, and purple shades. Want to see how things have changed since our graphic last year? 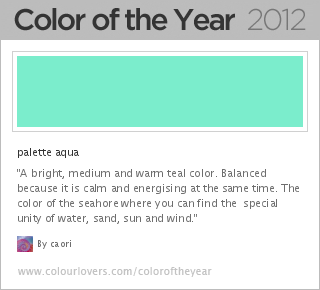 Check out the Colors of the Year 2010 here. Boy was the forecast WAY OFF by the color experts! According to the people, we like bright, vibrant colors, especially red! We ain't havin' none of that pale pink!